An online business success depends on your online presence and presentation. 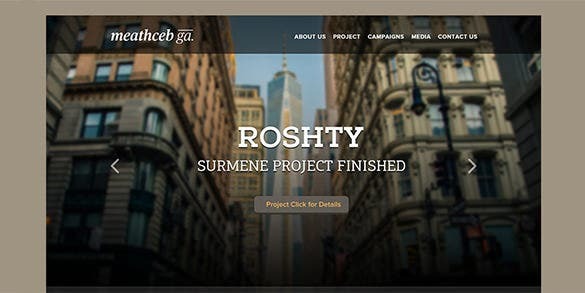 A website design and template should match your niche to get effective results. 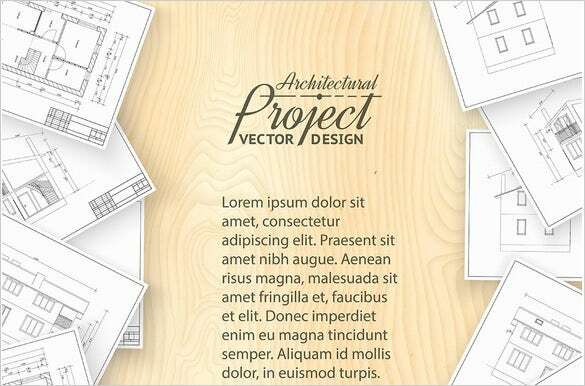 Similarly, an architect should use a niche based flyer template design for website creation. 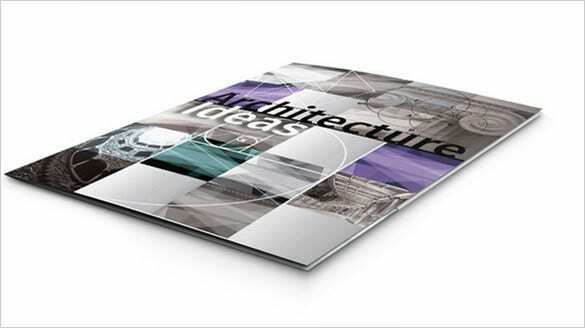 Our post will help you to get access to readymade architect PSD templates. 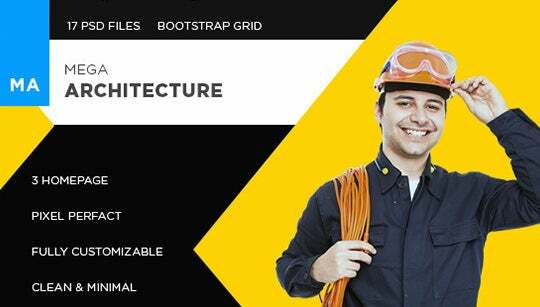 This template is specifically designed for construction form and architect websites. 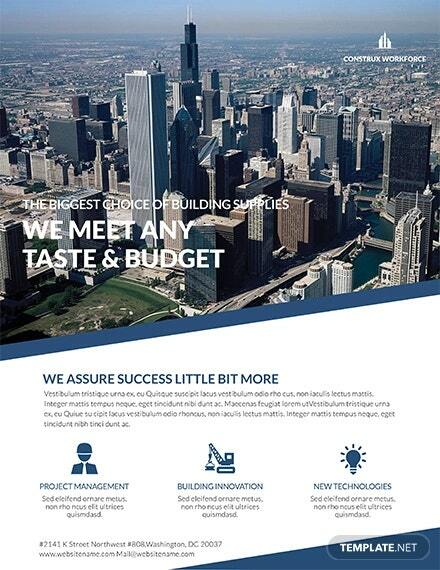 You are getting the modern flat one-page well organized theme here that looks classy with soothing scheme of shades. 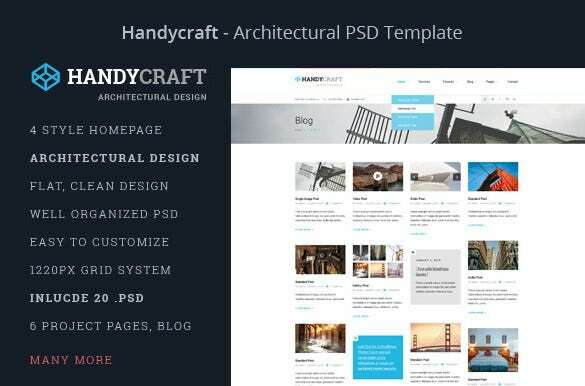 HandYcraft Architecture PSD template is easy to customize. 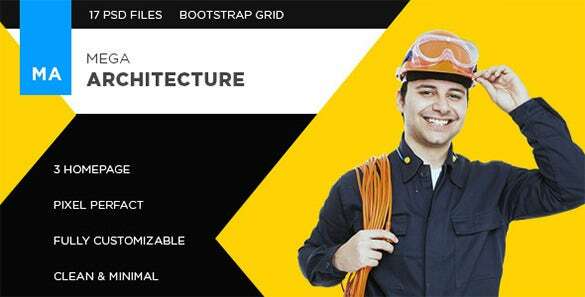 The flat, keen and fresh design with high-quality construction site images offers a professional look to the template. This design also offers a creative 404 error page. 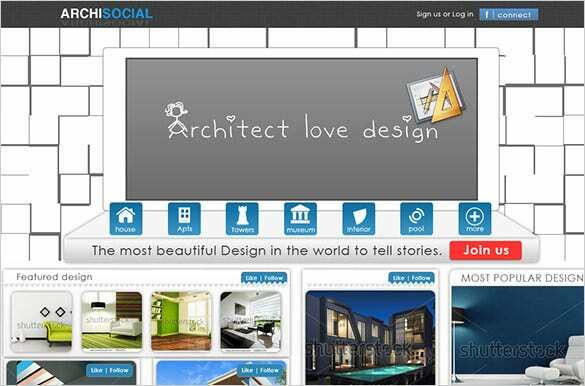 Social website PSD template for architect provides a royal design. The iconic navigation menu bar enhances user experience. 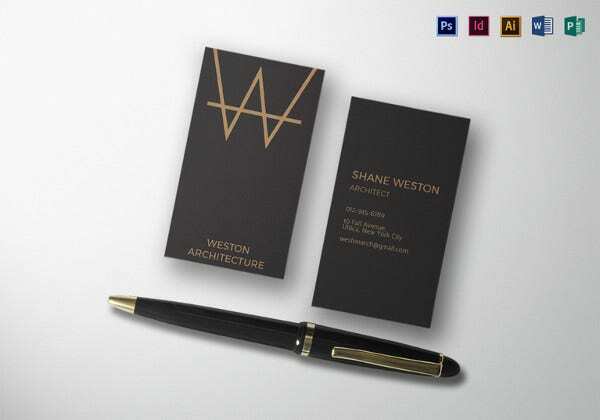 Its predefined structure provides ease to showcase the work. 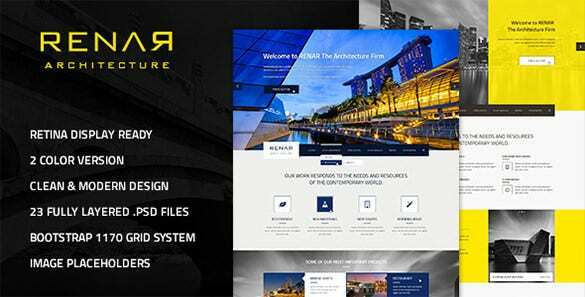 Mega Architect PSD template design comes with 3 Homepage and 1900×4450 Pixel perfect dimensions. It offers full customization including images, graphics, text, and color. 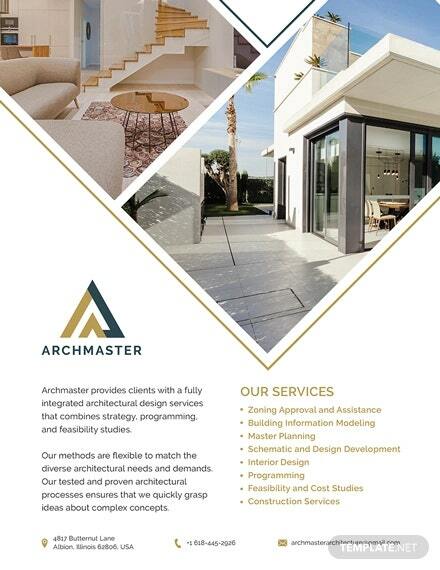 Architect Flyer PSD template is available in 3 colors with free fonts. You can customize text portion of the template design. Smart object layers make photo replacement easy. 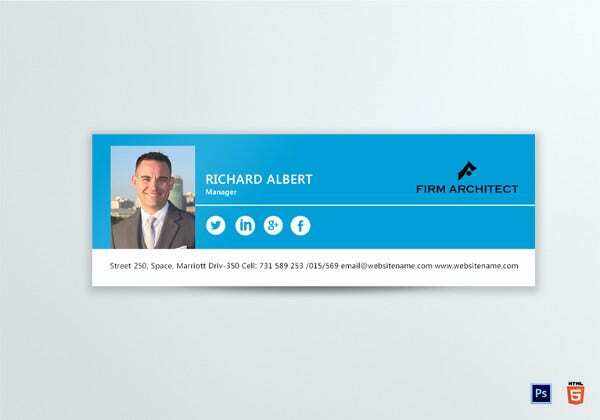 This template suits both architect and corporate business. You will get 2 color version and 2 different styled homepage options with the theme. Use Image placeholders for image integration. A wooden desk architecture theme can be used for banner, headers, invitation card invitation creation. The template allows text/image modification. 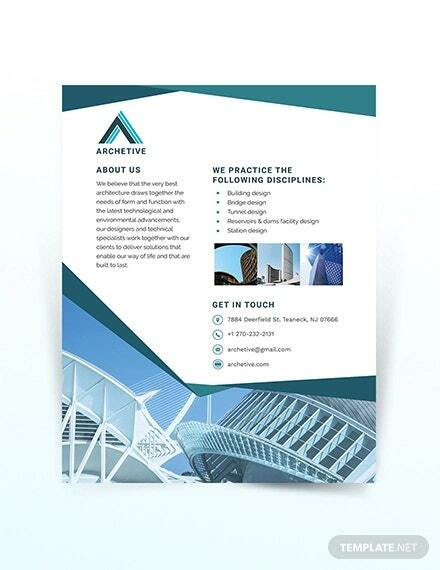 It’s a one-page design template in PSD format. You will get a responsive design with logo, menus bars, widgets, footer links, and social media buttons. It supports 100% customization. 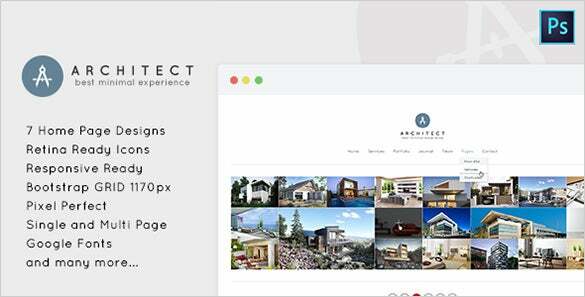 Minimal PSD template for Architects blessed architects with 7 homepage designs. The pixel perfect responsive theme contains retina ready icons. You can create both single-page and multipage design using it. City Map PSD Template for Architects has 186 ready objects with free access to 7 brushes including grass and flower, fence, and modern city brush. It allows text customization only. 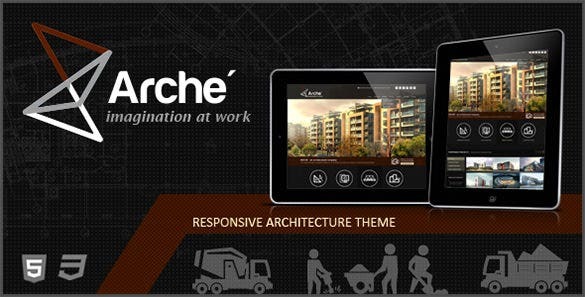 Arche PSD Template for Architects provides mobile-friendly HTML5 and CSS3 design. It includes pre-built PHP contact form and CSS based drop-down navigation. It includes additional Page templates for sitemap, 404 error, Shortcodes and blog. 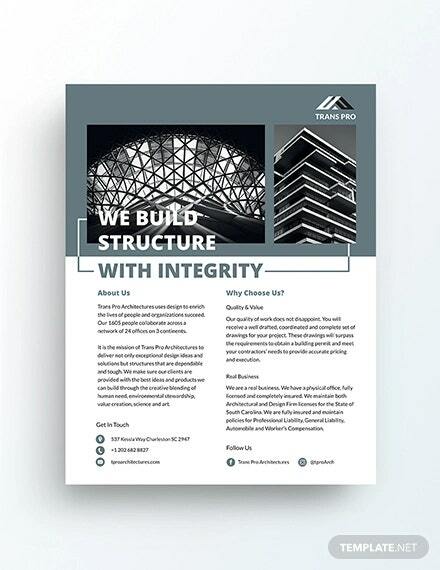 Blueprint PSD template for Architects can be used to include receipts, invoices, design drafts, and other documents. 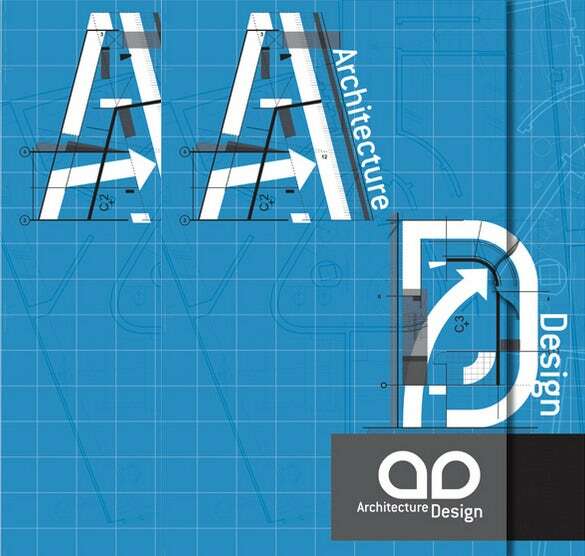 The A and D letter in the design are made via arrows, measurements, and other diagrams. 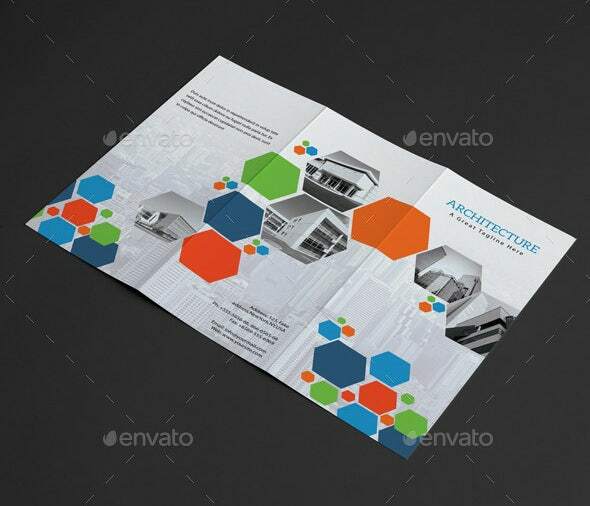 Architect Trifold PSD template provides a 3-fold design. This A4 paper size design can be used to create leaflets, brochures, and other items. The design is 100% editable. 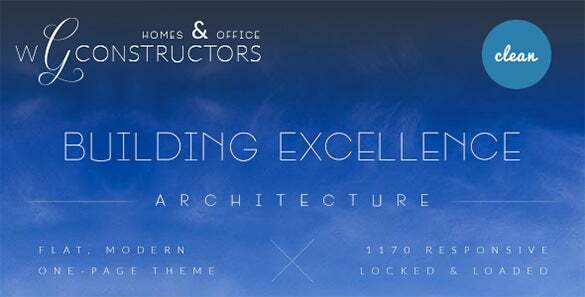 Architect Ideas PSD Template can be used for blueprint presentation, floor plans, sketches, invoices, and other related stuff. 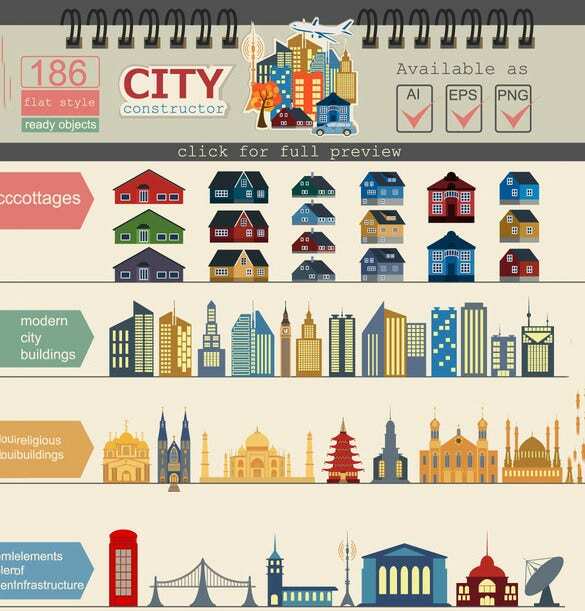 It illustrates mathematical and architectural concepts in the design.